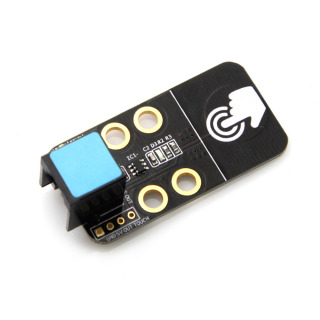 Me Touch Sensor is a capacitive touch sensor based on TTP223-BA6. It will be triggered by finger touch. 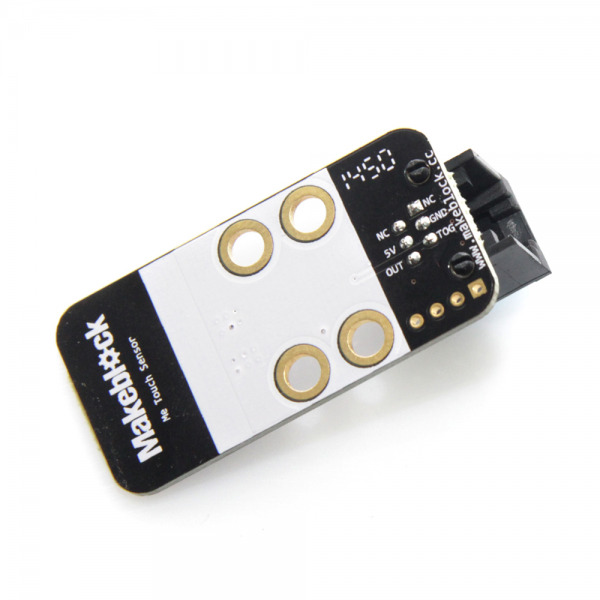 You can also connect the "TOUCH" pinhole to some metal construction and touch the metal to trigger the sensor. The sensitivity is fixed to a proper level. If you need to adjust it to fit some special case, you can try to change the value of R3 and C4. It needs 0.5s for the self-calibration after energized. During that, please don't touch the sensor.